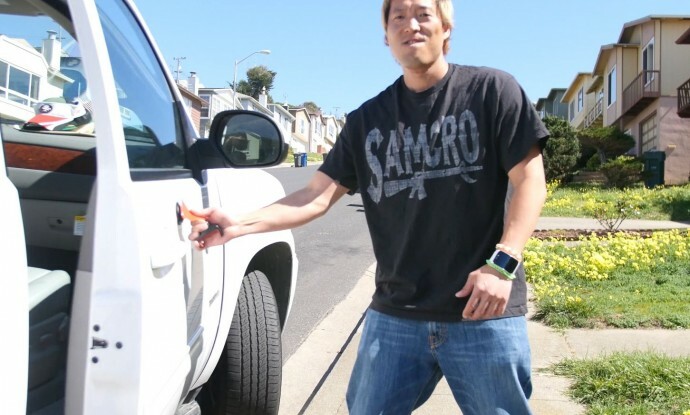 Gel Suction Smartphone Car Mount Review! 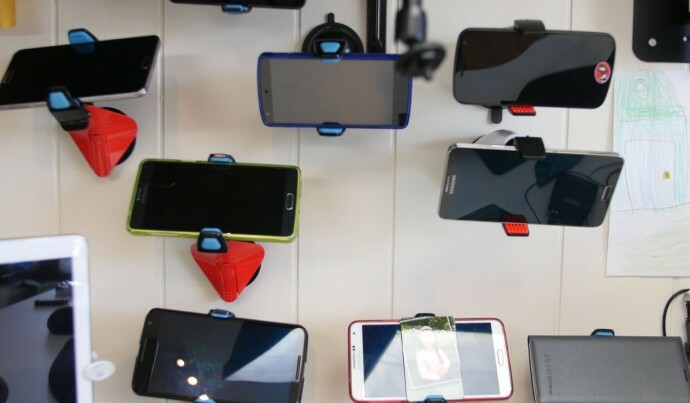 For those of you who live in the U.S., did you know it’s illegal in over 50% of the States to have a suction cup phone mount on the windshield of your car? (See my article here for list of illegal States). Cops will probably not pull you over but if they wanted to find a reason, this could be one reason to pull you over. If you like to carry illegal stuff in your car (not that I recommend it), pay attention, I may save you from going to jail. Besides that, having a suction phone mount on your windshield does get in the way of your view. There are many types of dashboard car mounts including anti-slip and heavy weighted base but these don’t work well on certain car dashboards, especially if they have irregular surface like my Chevy Tahoe. To abide by the the new law and/or you want to place your phone on the dashboard, there’s a new product going around that uses Gel-Suction. This new type of smartphone car mount goes another level to get your phone mounted on all types of dashboards. This Gel-suction is a patented technology that includes additional layer of sticky, gel material on the outer diameter of the suction cup. This allows it to attach to almost any dashboard surface on cars. This thing is so strong, it’s rated up to withstand 60 pounds or 30 kilograms of force. Now, that’s pretty cool. To use, simply place the car mount on your dashboard and hold down the suction cup lever and that’s it! Now, this is great since if you ever need to move it to a new location or car, you can easily pull it off also. The strength is actually pretty durable enough where it will not pull off easily even if you accelerate suddenly or hit the brake. In fact, it’s so strong, you can even use it on your bike! Using your phone in your hand may be okay if you absolutely need to but I would highly advise against it as you can easily get into accidents. 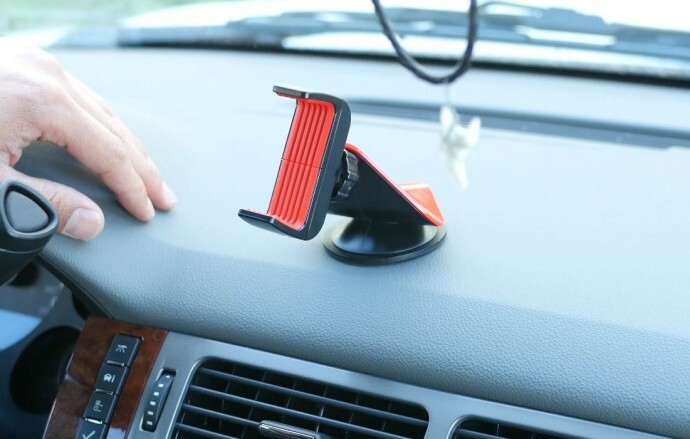 For just $9.99, you can have a really good car mount that will allow you to use your GPS and other features while keeping you focused on driving. This product is also fully adjustable to fit smaller phones like Galaxy S4 and larger phones like Note 4. What’s missing with this car-mount? In super hot above 100 degrees fahrenheit or 38 degrees celcius average weather, the car mount may fall off as it’s based on gel. So, if you do live in such a weather all year, you may want to consider another product but otherwise, this product works very well. And yeah, this suction cup works great on many different types of surfaces, you can even use it as a desk phone mount or even wall phone mount like I have done recently to my office. Overall, if you are using your smartphone GPS in your car but don’t have a car phone mount, check this product out and do let me know what you think! I’ve actually took a time-lapse video using this mount the other day so check that out too. Next story Kodak SP360 360 Camera Unboxing!